The "E" in "AMERICA" does appear to have an extra appendage. 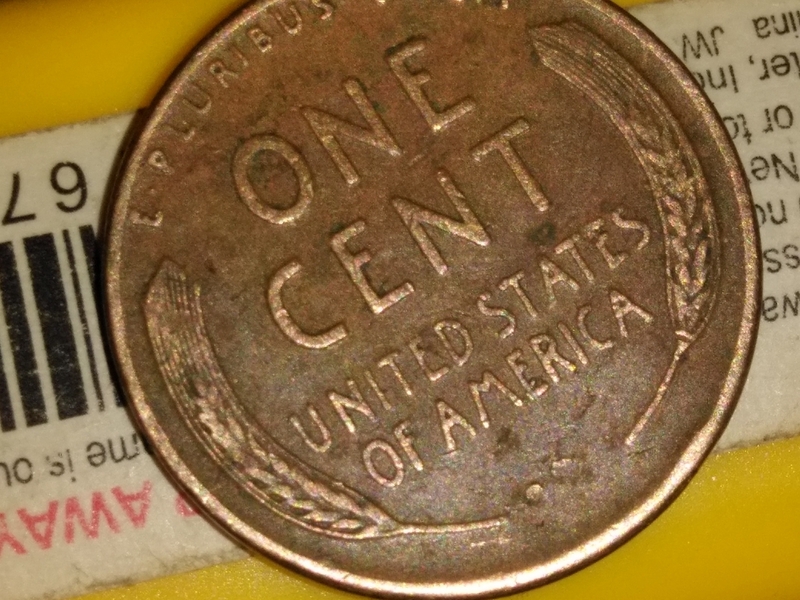 This might be a new error variety. I suggest you send these photos to a die variety expert such as John Wexler or the folks at CONECA for more information and possible attribution if it is indeed a new die variety. 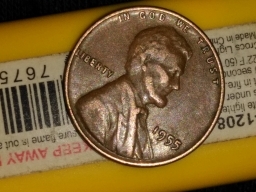 Hi, Steve -- It looks like you tried to post the photo of the nickel, but it isn't uploading for some reason. Would you please try to upload it again,Hi, Steve -- It looks like you tried to post the photo of the nickel, but it isn't uploading for some reason. Would you please try to upload it again, perhaps ensuring it's a JPG or PNG file under 2 MB in size? This looks like heavy wear on the obverse that has obliterated the "6" in the date and some of the other details. I don't believe this is an error, or even a situation in which, say, the die was filled with grease. Steve Leeroy Rooks replied to a discussion, Wanted to know if y'all thought this 1955 penny might be something special? 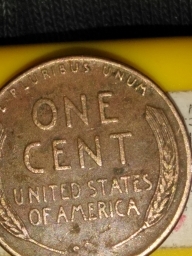 Look at the e in America and instated and possibly in United and in the curve of first 9 on date kinda looks like something but I'm new to this and not sure of correct name for that is. 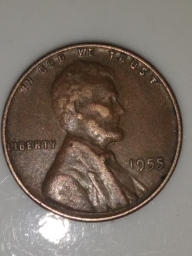 Steve Leeroy Rooks started a new discussion, Wanted to know if y'all thought this 1955 penny might be something special? 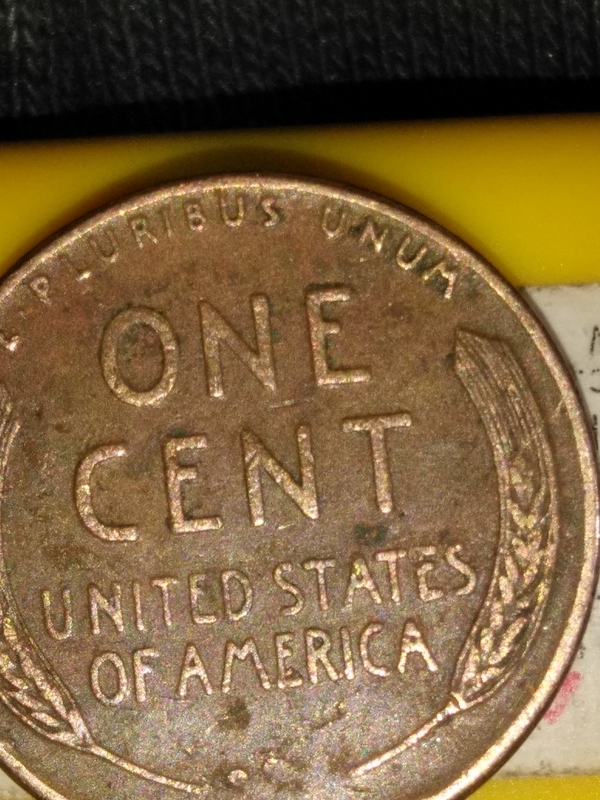 Look at the e in America and instated and possibly in United and in the curve of first 9 on date kinda looks like something but I'm new to this and not sure of correct name for that is. Wanted to know if y'all thought this 1955 penny might be something special? 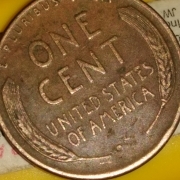 Look at the e in America and instated and possibly in United and in the curve of first 9 on date kinda looks like something but I'm new to this and not sure of correct name for that is.